What are the benefits of Scrum Certification or Scrum training? A role such as that of a project manager doesn’t exist in Scrum. But, in the organization there are project managers. Then, what is the role of the project manager in the event of the team migrating to Scrum. Well this question has been asked so many times, however the answers are different and are conflicting. Let’s take up an example to understand this. Mike is a Project Manager and his project is about to migrate to Scrum. From a very long time, Mike is working as a manager in his career. Mike has respected his team mates and trusted them to be responsible about their jobs. His ideology about the finest approach to obtain the outcomes is to develop a team of exceedingly driven professionals, set goals, take initiatives and ensure all needed resources towards their work are there without obstacles. The team looks up to Mike if they have any problems or concerns, as they feel quite at ease intimating project estimates to him because of no “Boss pressure”. He is always careful of their requirements with high importance. It has always been Mike’s goal to enable and support effective communication, prevent and resolve clashes, eliminate obstacles, and make certain maximum prominence into the project for all the involved stakeholders. Would Mike be a good Scrum Master for his team? Yes, he will be a good Scrum Master. The product owner is equally vital as the Scrum Master. In the absence of an effective and efficient product owner, the project is unlikely to succeed. Preferably the role of product owner should be undertaken by the client, who isn’t always plausible or the client is very engrossed with something that, though formally it is the product owner but whom always finds availability at all times to the team a major inability. In this situation, there is a necessity for a product owner, or substitution product owner, indigenous to the team. A likely candidate can be the project manager. Interacting and working with numerous stakeholders to convert an incessant flow of change requests into a prioritized list is something the project manager can fare well as he would have prior experience on that. One of the guiding principles of Scrum is to develop the functionality of the highest priority to the customer first. Less important features are developed in subsequent Sprints or can be left out altogether according to the customer’s requirements. This approach gives the Scrum Team the required time to focus on the quality of essential functionality. A key benefit of quality planning is the reduction of technical debt. Technical debt—also referred to as design debt or code debt—refers to the work that teams prioritize lower, omit, or do not complete as they work toward creating the primary deliverables associated with the project’s product. Technical debt accrues and must be paid in the future. Quick-fix and building deliverables that do not comply with standards for quality, security, long-term architecture goals, and so forth. Lack of coordination among different team members, or different Scrum Teams as teams start working in isolation with less focus on final integration of components required to make a project or program successful. Poor sharing of business knowledge and process knowledge among the stakeholders and project teams. Too much focus on short-term project goals instead of the long-term objectives of the company. This oversight can result in poor-quality Working Deliverables that incur significant maintenance and upgrade costs. In Scrum projects, any technical debt is not carried over beyond a Sprint, because there should be clearly defined Acceptance and Done Criteria. The functionality must satisfy these criteria to be considered Done. As the Prioritized Product Backlog is groomed and User Stories are prioritized, the team creates Working Deliverables regularly, preventing the accumulation of significant technical debt. The Scrum Guidance Body may also include documentation and definition of processes which help in decreasing technical debt. And the key responsibilities of Scrum Team members in regards to quality. Defining Acceptance Criteria is an important part of quality planning, and it allows for effective quality control to be carried out during the project. Technical debt may be a very big challenge with some traditional project management techniques where development, testing, documentation, etc. are done sequentially and often-times by different persons, with no one person being responsible for any particular Working Deliverable. As a result, technical debt accrues, leading to significantly higher maintenance, integration, and product release costs in the final stages of a project’s release. The cost of changes is very high in such circumstances as problems surface in later stages of the project. Scrum framework prevents the issues related to technical debt by ensuring that Done deliverables with Acceptance Criteria are defined as part of the Sprint Backlog and key tasks including development, testing, and documentation are done as part of the same Sprint and by the same Scrum Team. 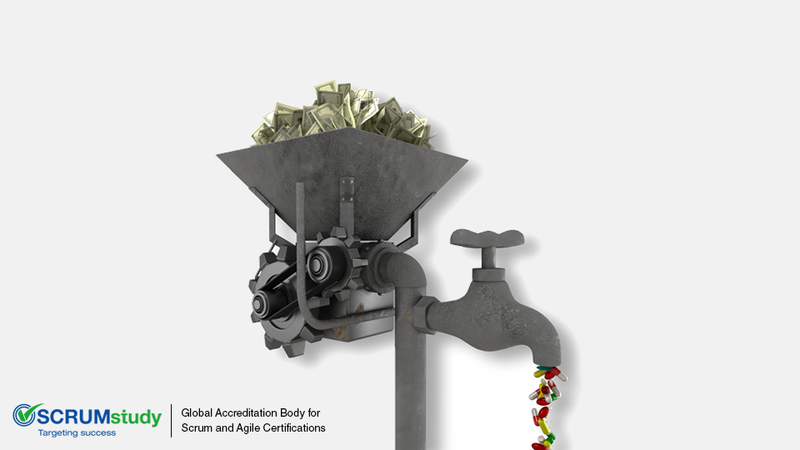 We will attempt to do a quick overview of some of the Scrum certifications that are currently being offered. Then, we will talk about figuring out the right trainer. It is beneficial to find a Scrum trainer with the background as yours however it is not an absolute requirement. The methodology and the style of the Scrum training can vary from trainer to trainer, so you should try to figure out which one suits your learning style. The biggest positive of a formal Scrum training is that you learn everything in a controlled environment. You meet people who are also there to learn about Scrum and in case you have common background, it helps to understand the process and difficulties of implementation from outsider’s point of view. A formal training also helps you understand about the mistake which you may make due to the traditional project management concepts rooted in you. The main purpose of any certification is to impart a common baseline of the knowledge. These Scrum certifications, compared to any other project management certifications have a very easy test. You should remember that getting a Scrum certificate is way easier than the implementing actual Scrum methodology. Scrum/Agile methodology in general gives you a lot of freedom in how you implement it. However you should avoid changing the essence of the whole process. These project managers are commonly referred as Scrumbut. The common suggestion is that you start to implement Scrum as-is until you understand it properly and then decide for yourself what you might want to change. After a while you may find that you don’t need to change anything at all. You need to understand that nothing is more valuable than experience. Scrum or Agile Certification may only add some credibility and marketability to the individual. SCRUM is a considered to be set of guidelines that oversee the growth process of a product, from its design phase to its completion. Scrum is one among several agile methods that practices an iterative and incremental procedure in the course of development of a project. 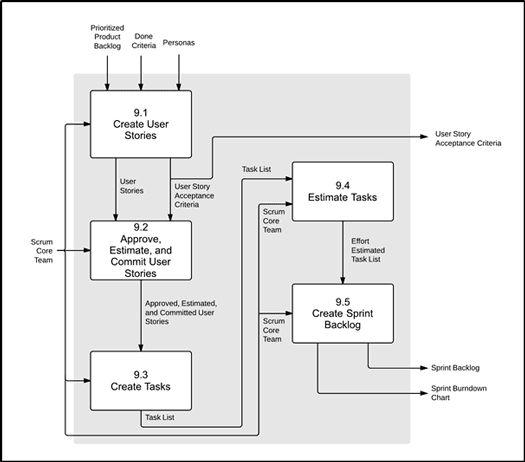 As per SCRUM, a project is divided into what is known as sprint or iteration. Each sprint is timeboxed usually between 2 weeks to a maximum of a month. After a sprint, the team meets and reviews the progress of the project. Here team tries to identify the problems encountered during the sprint and formulates the objectives for the next sprint. In the course of every sprint the team analyses and works on user requirements (also known as user stories) in order to confirm that after every sprint, user needs are taken into consideration and are being satisfied. One important aspect of SCRUM to note is that it depends on self-organisation. Self-organisation helps the team to achieve the goal by following the most resourceful path with the available resources, knowledge, skills and abilities. This allows team to experiment with different approaches, to analyse and to learn from their failures and to improve. In a self-organised team, there is no one elected as team leader. The teams work cross-functionally and the team is responsible as a whole in decision making. SCRUM has been successfully engaged in many companies in many different fields and has achieved outstanding results. Burn down charts : This chart is used to track the progress achieved during the course of the project against the release plan using a release burndown chart. This chart is updated at the end of each sprint by the ScrumMaster. Stand up meeting: The team meets every day for a swift status update. The meeting is usually time boxed for 15 minutes. Product backlog : It is prioritized list of all the desired changes to the product being developed which is done by the Product Owner. This is used to record requests for modifying a product. This is used to add new features, changing old features, removing features and fixing issues.